Robert Willis WRIGHT. Robert married Ida Mae SHIPMAN. Ida Mae SHIPMAN was born on 12 Oct 1922. Ida married Robert Willis WRIGHT. M i Robert Warren WRIGHT "Sr" was born on 12 Sep 1951. Ronald Cary Hayes EDDINS "Sr" [Parents] was born on 5 Aug 1945 in Greenville, Hunt, Texas. Ronald married Elizabeth Scott SUMNER on 10 Aug 1968 in Fort Worth, Tarrant, Texas. Elizabeth Scott SUMNER [Parents] was born on 10 Sep 1947 in Fort Worth, Tarrant, Texas. Elizabeth married Ronald Cary Hayes EDDINS "Sr" on 10 Aug 1968 in Fort Worth, Tarrant, Texas. M i Ronald Gary Hayes EDDINS "Jr" was born on 25 Nov 1970. Marie Elizabeth Hayes EDDINS was born on 14 Oct 1974 in Fort Worth, Tarrant, Texas. Scott Sumner Hayes EDDINS was born on 17 Mar 1979 in Fort Worth, Tarrant, Texas. William Bonaparte ALLEY [Parents] was born in 1828 in , Morgan, Tennessee. He died in 1863 in , Franklin, Indiana. He was buried in Jones-Gloshen Cemetery, Butler, Franklin, Indiana. William married Sarah J. COEN on 11 Nov 1854 in , Franklin, Indiana. Sarah J. COEN was born on 20 Nov 1837 in , Franklin, Indiana. She died in 1923 in , , Missouri. Sarah married William Bonaparte ALLEY on 11 Nov 1854 in , Franklin, Indiana. Temmapie ALLEY was born in 1856. Don ALLEY was born about 1856. M iv Donemico L. ALLEY was born in 1857. He died in 1935. M v James Thomas ALLEY was born in 1858. He died in 1919. Texas A. "Texy" ALLEY was born in 1859 in , , Tennessee. M vii William Dayton ALLEY was born in 1860. He died in 1936. Marion ALLEY was born in 1862 in , Franklin, Indiana. He died in 1864 in Butler, Franklin, Indiana. He was buried in Butler, Franklin, Indiana. Mary ALLEY was born in 1863 in , , Indiana. She died in 1908. William Henry HOLLINGSWORTH [Parents] was born about 1828 in , , North Carolina. William married Charlotte G..
Charlotte G. was born in 1856 in , , Georgia. Charlotte married William Henry HOLLINGSWORTH. M i Wade H. HOLLINGSWORTH was born on 7 Apr 1876. He died on 2 Jul 1941. Egner D. HOLLINGSWORTH was born in 1879 in , , Arkansas. Forrest Newman SHANKS was born on 17 Sep 1926 in Permit, Hunt, Texas. Forrest married Peggy Ruth HISE. Peggy Ruth HISE was born about 1930. Peggy married Forrest Newman SHANKS. F i Paula Beth SHANKS was born on 21 Mar 1953. Rance COLBORN was born on 25 Apr 1958 in Eunice, Lea, New Mexico. Rance married Kimberly Dawn HAYES on 25 Nov 1999. Kimberly Dawn HAYES [Parents] was born on 30 Jan 1978 in El Centro, Imperial, California. Kimberly married Rance COLBORN on 25 Nov 1999. Kyla Tess COLBORN was born on 16 Apr 2000 in Hobbs, Lea, New Mexico. Brady Eugene COLBORN was born on 21 Jun 2006. 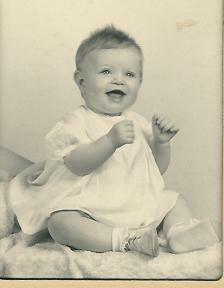 Charles Byrnes SMITH "Jr" [Parents] was born on 24 Mar 1945. Charles married Maita. Maita. Maita married Charles Byrnes SMITH "Jr". Carrie Leah SMITH was born on 1 Nov 1973. Adam Curry SMITH was born on 10 Dec 1973. Paul Gregory SMITH [Parents] was born on 5 Jan 1953. Paul married Barbara Joy KITEYMAN. 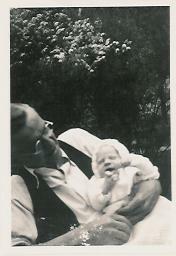 Barbara Joy KITEYMAN was born on 30 Sep. Barbara married Paul Gregory SMITH. Marisa Alicia SMITH was born on 21 May 1979. Paul Gregory SMITH [Parents] was born on 5 Jan 1953. Paul married Linda Jane FROMM on 4 Jul 1948. Linda Jane FROMM. Linda married Paul Gregory SMITH on 4 Jul 1948. Earl Duane MELTON "Sr" was born in Jul 1943. Earl married Brenda Faye HAYES on 3 Dec 1965. Brenda Faye HAYES [Parents] was born on 11 Aug 1948. Brenda married Earl Duane MELTON "Sr" on 3 Dec 1965. James Earl MELTON was born on 12 Mar 1968. Earl Duane MELTON "Jr" was born on 13 Feb 1973.